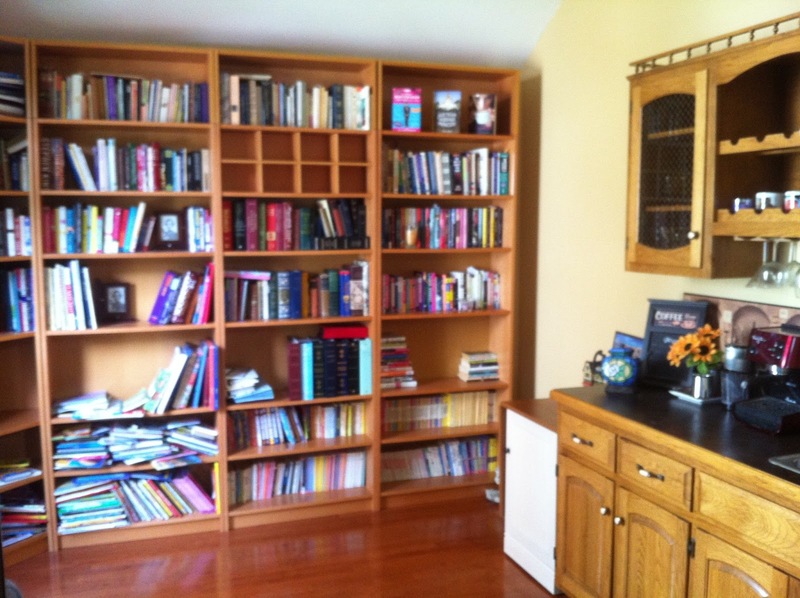 Today, Kristina Springer is sharing a photo of one of her favorite places… the type of place that most book-loving people would LOVE to be able to have of their own! Kristina Springer’s newest release, My Fake Boyfriend is Better Than Yours, was recently released and she’s a having a contest over at her blog. The winner will get: A $20 gift card (Starbucks or Amazon, your choice! 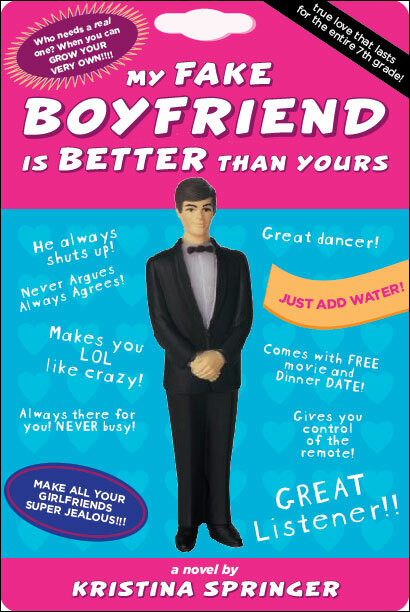 ), autographed copy of My Fake Boyfriend is Better Than Yours, Fake Boyfriend Emergency Kit, and a variety of bookmarks/stickers from all of her books. To find out more and to enter the contest, definitely check out this link! About My Fake Boyfriend is Better Than Yours: Seventh grade was supposed to be fun, but Tori is having major drama with her BFF, Sienna. Sienna changed a lot over the summer—on the first day of school she’s tan, confident, and full of stories about her new dreamy boyfriend. Tori knows that she’s totally making this guy up. So Tori invents her own fake boyfriend, who is better than Sienna’s in every way. Things are going great—unless you count the whole lying-to-your-best-friend thing—until everyone insists Tori and Sienna bring their boyfriends to the back-to-school dance.